A day long tour was all we needed to re-energize all of us. So, we planned a night out on 30th March, 2019 at Heaven Hill Resort, Lapsiphedi. It was only an hour long away from hustle and bustle of city. All of us gathered at school at 3:30 PM. It was December 2013 when I had my first 10 day Vipassana experience. It was truly awesome and helped me realize how suffered I was and how much pain my body had stored. Since then, I was into a whole day long meditation. So the email to fill up the form for one day Vipassana with Rudra dai really excited me. I filled up the form on my own will and excitement. I went to bed early that night so that i could reach on time the next day. The next day I woke up early in the morning and reached the office premises by 7:05. I met Nitish dai, Netra dai, Sanjay dai,Raksha didi, Shikshya didi, Pramod dai and many other participants. We had some good breakfast in 109 degrees restaurant which included fruits and tea. 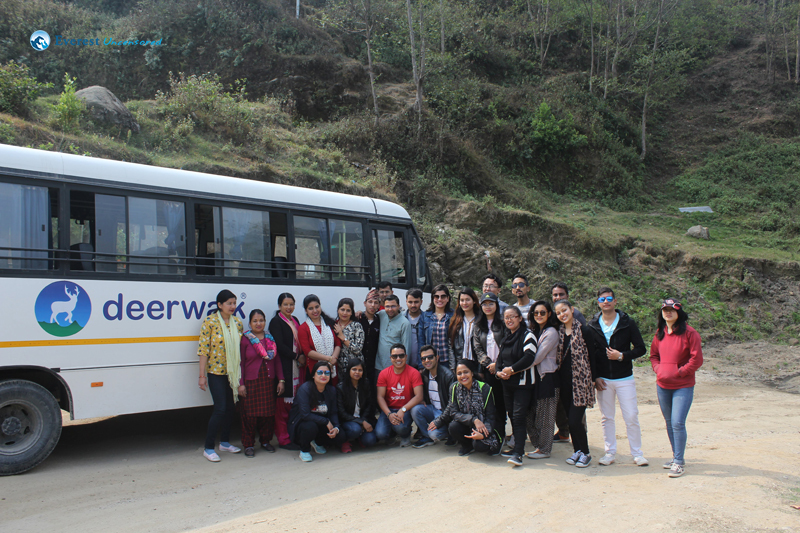 On 1st March, DWIT Hiking Club had organized one day hike to Sisneri, a beautiful destination 37km south from DWIT. 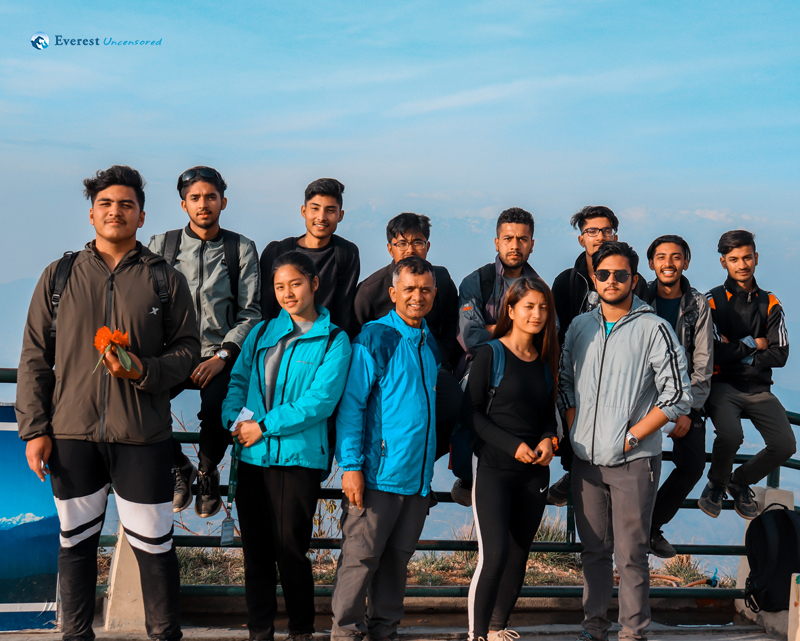 Seventeen hikers were selected and were asked to reach college at 6:15 am and by 7 am we were all set and the journey for Sisneri began. The excitement of my weekend schedule, which would include two-day hike to Kakani, kept me from going to bed peacefully on Friday night. We all gathered around Deerwalk at 8:30 am, where we loaded all the necessary supplies in the vehicle and got ready to move out. 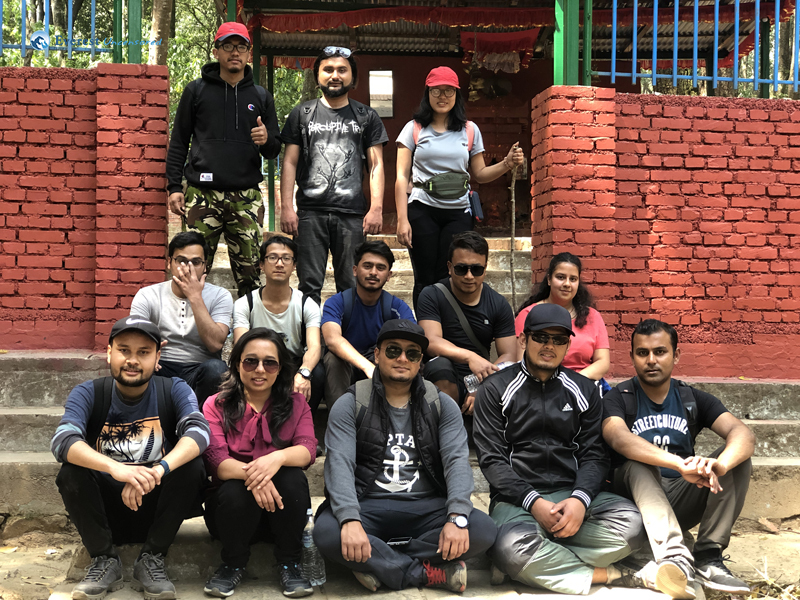 Our planned hiking route was from Gurje Bhanjyang to Kakani for the first day. We set off from Deerwalk in the office vehicle at 9 am. On our way, we stopped by a place to have a little breakfast before the hike. After the announcement of two days hike everyone got excited. 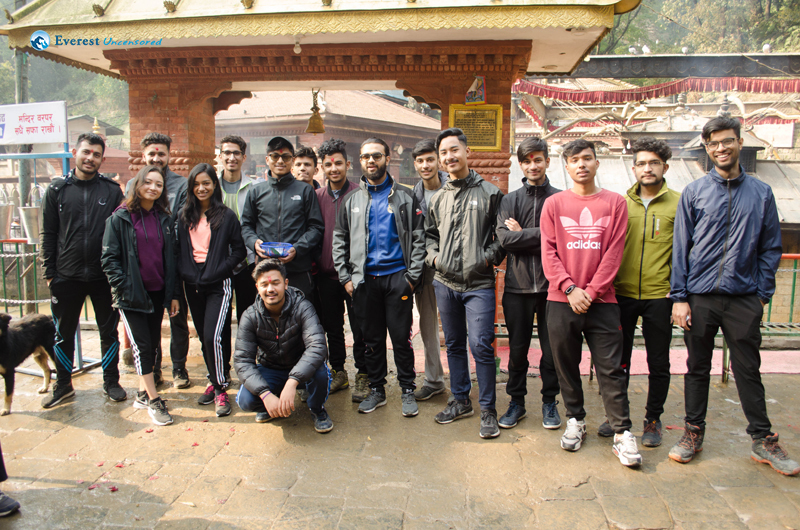 Finally, On March 8th (Friday) our coordinator Dibyamshu set the pickup points and the destination was chosen to be Markhu as it was the first experience for most of the 15-member squad. As we entered through the gates of Deerwalk Complex, everyone seemed excited, for it was not just another day in Deerwalk. It was indeed one of the most awaited days for all Deerwalkers. 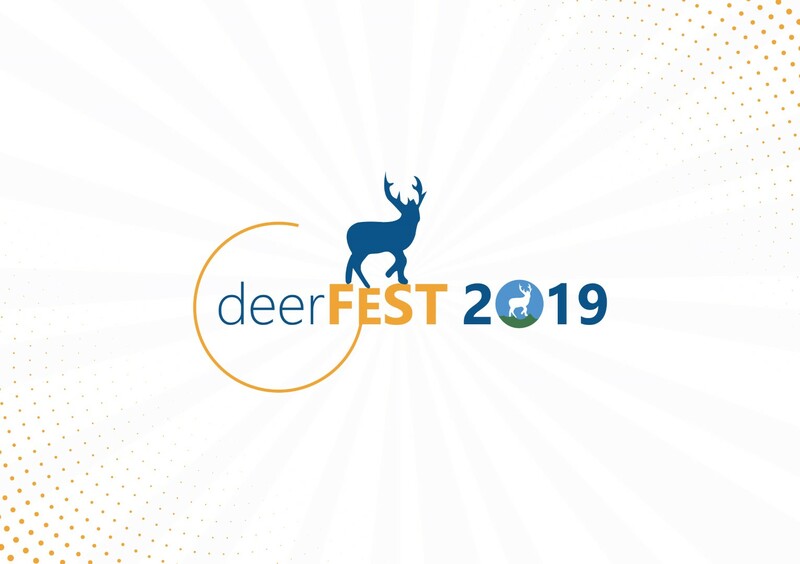 After all, it was the time to show off two months of hard work- two months of juggling between work deadlines and practice, two months of dancing in the courtyard, singing in the hall, and that was all for Deerfest 2019. The day before the hike Dichhya Di, asked me if I was joining the hike. I was quite unsure about it because I had some pending works but since hiking is always fun, I stacked my works for next week and I was all set to go. Saturday, March 16, 2019 was the most memorable day of my life. 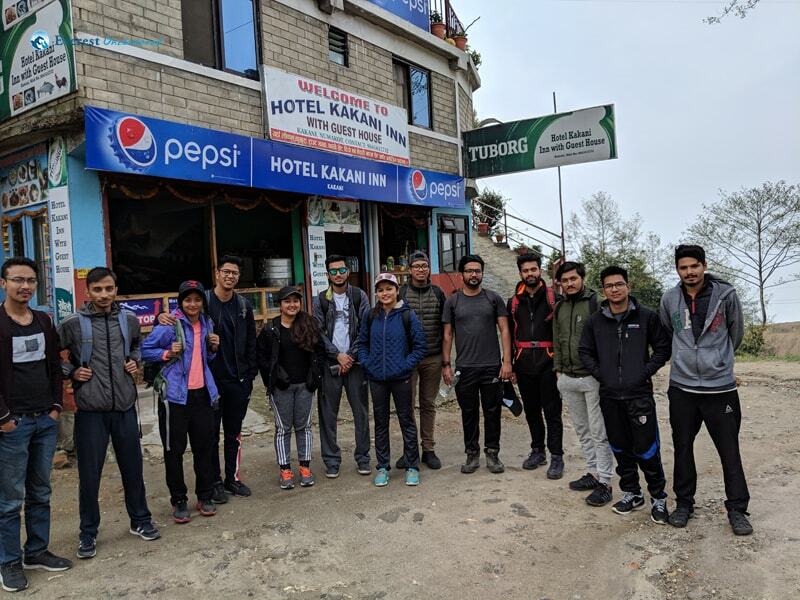 As we (Squad B) planned to go for hike just 3 days earlier. It was really a great experience with new team. Our journey started from Deerwalk. It was my first hike at Deerwalk which gives me a memory and opportunity to be familiar with my new friends . We decide to leave at 8 am sharp but due to some circumstances we get late so, we leave at 8:30. We had our lunch at Bypass, Balaju around 10 am. And we move towards our destination. We started our hike from Thankot and started walking uphill. On the way, the road was blocked due to landslide. As a result there were no alternatives to go there so we had to cross that path climbing the rock which made the hiking more adventurous. I never imagined that I would get the chance to visit the United States this soon in my life. I was very happy when Pramod dai informed me that my US visit has been scheduled for Feb 2019. Initially, I was worried about the journey as the route was completely new to me. But when I knew that Neeraj Dai was also traveling with me, all those fears went out. We headed towards Doha via Qatar Airways on Jan 31. The second flight from Doha to Boston was relatively hard for me as I couldn’t sleep on the plane. Watching the flight status and exploring the outside from the plane window, we reached Boston at 3:30 and then we headed towards our apartment. Ashay dai, Suresh Dai, Jyoti, and Wishrut were there to welcome me. 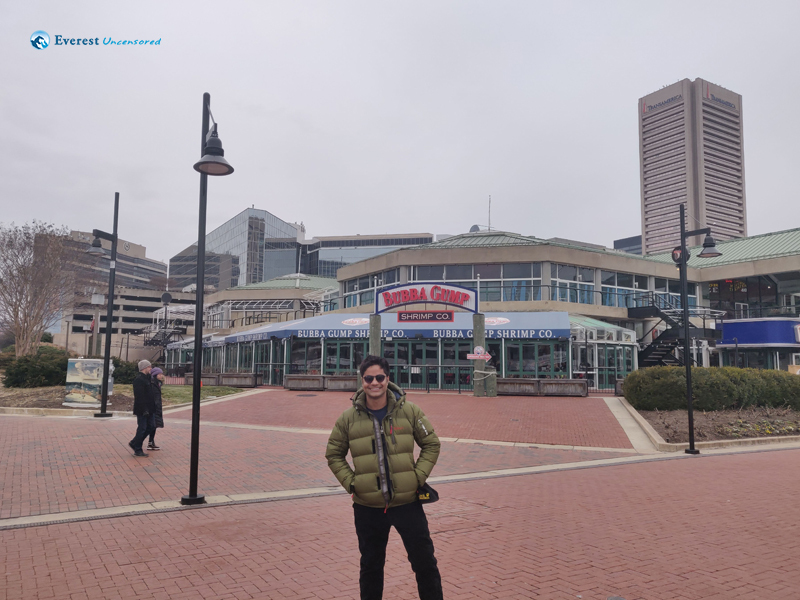 Ashay dai gave me some quick guidelines and familiarised me with the US culture. When I reached there, Wishrut was backpacked and ready to leave the US. I saw that my time would come soon too.